For the fifth consecutive year, national healthcare publication Becker’s Hospital Review has named University of Virginia Cancer Center at UVA Medical Center to its list of 100 hospitals and health systems with great oncology programs. UVA is the only health system in Virginia named on Becker’s 2017 list. “Receiving this honor from Becker’s highlights our efforts both to provide excellent patient care as well as discover research breakthroughs in better understanding and treating cancer,” said Thomas P. Loughran Jr., MD, director of the UVA Cancer Center. Health systems named to the list “lead the way in oncology expertise, outcomes, research and treatment options,” according to Becker’s. In honoring UVA, Becker’s cited UVA’s participation in the Oncology Research Information Exchange Network (ORIEN), a national cancer research network seeking to better understand cancer at the molecular level and develop more targeted treatments for patients. Becker’s also noted UVA’s status as a National Cancer Institute-designated cancer center and that UVA is the only cancer center in Virginia ranked among the top 50 nationally by U.S. News & World Report. “Earning this award takes collaboration from team members throughout UVA Health System, and I thank all of our team members for their dedication to our patients,” said Pamela M. Sutton-Wallace, chief executive officer of UVA Medical Center. Becker’s does not rank the hospitals and health systems named to its list; they are presented in alphabetical order. 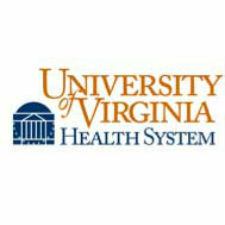 UVA Health System is an academic health system that includes a 612-bed hospital, the UVA School of Medicine, a level I trauma center, nationally recognized cancer and heart centers and primary and specialty clinics throughout Central Virginia. UVA is recognized for excellence by U.S. News & World Report, Best Doctors in Americaand America’s Top Doctors. UVA Cancer Center is accredited by the Commission on Cancer and is one of 69 National Cancer Institute (NCI) designated cancer centers in the U.S. for its work in cancer research, prevention, detection and treatment. UVA Cancer Center provides comprehensive, world-class cancer treatment in an environment of caring for patients across Virginia, led by doctors who have been honored by publications such as Best Doctors in America® and America’s Top Doctors®.